Recently I stopped by at the last hour of a church sale and spotted this sad lonely dresser. Everyone was passing it up because it was in a despicable shape. I kind of felt bad for the person who donated it might have to take it back or even worse send it to the burn pile. 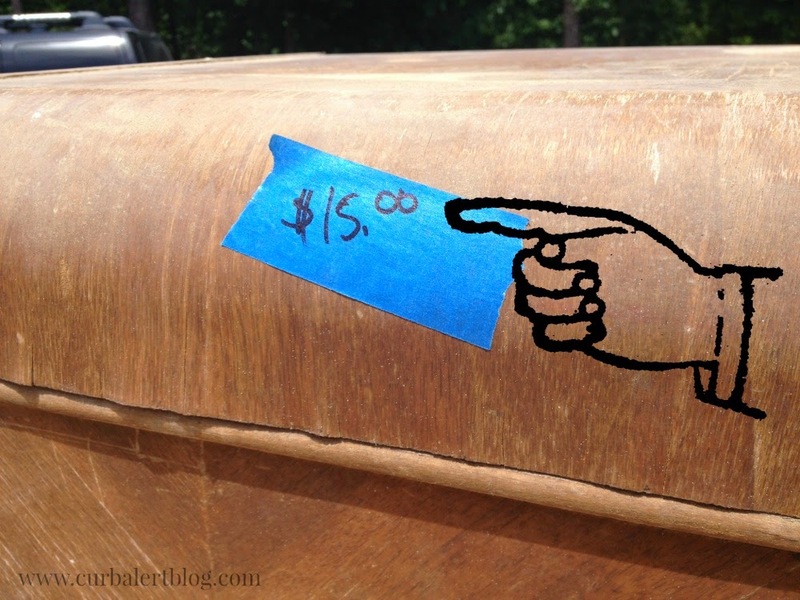 I could tell the two boys were snickering at me while they were loading it up into the back of my two day old new SUV. My goodness, what did I get myself into? I’ve got it home and now I’m committed to it. I spent lots of time kicking out the ugly tattered boards. Lots of time vacuuming and cleaning each piece of the wood, top to bottom, side to side. 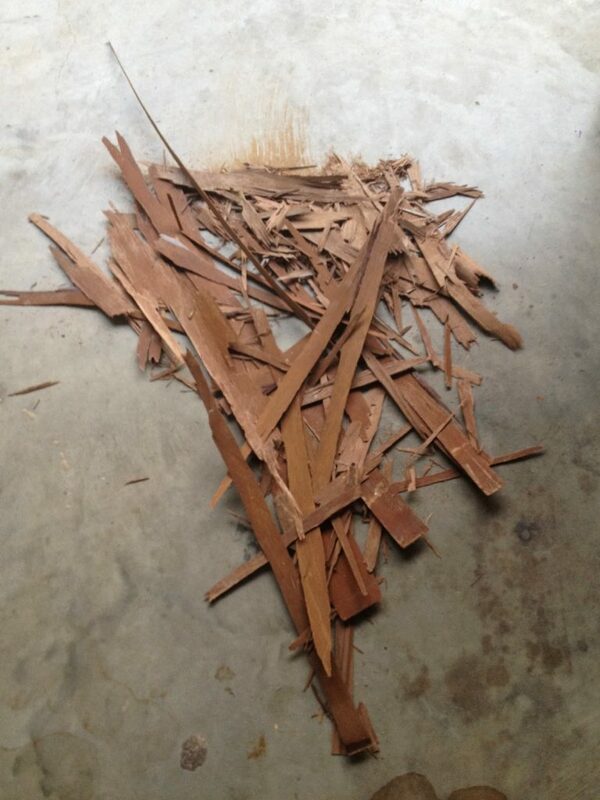 Lots of stripping out torn and peeled veneer. Lots of pressing and glueing tattered edges. And tons of frustration to go along with it that it almost ended up on the curb! 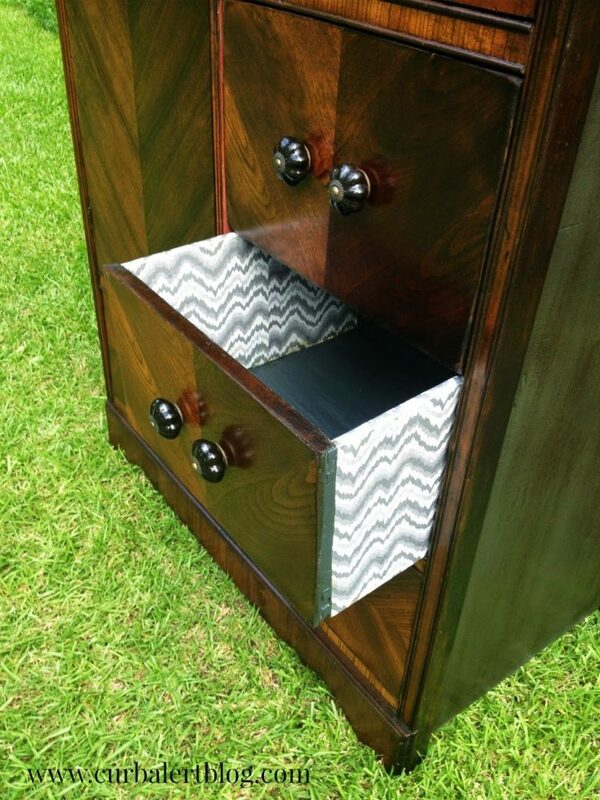 There were times when I wanted to rip every since ounce of ugly veneer and paint the entire piece with chalk paint but throughout the process I didn’t have the heart! I love the look of woodgrain too much so I tried to salvage as much of it as I could, veneer or not! and I was seeing the beauty in this piece. Lots of room for storage, folded and hanging clothes. You could even put a little mirror in it and put your makeup on right there! To me it looks perfect for a gentleman so I can imagine him looking in the mirror to fix his tie! It’s not perfect, in fact it shows a lot of imperfections, but like I previously mentioned I tried to save as much of the original look as I could. 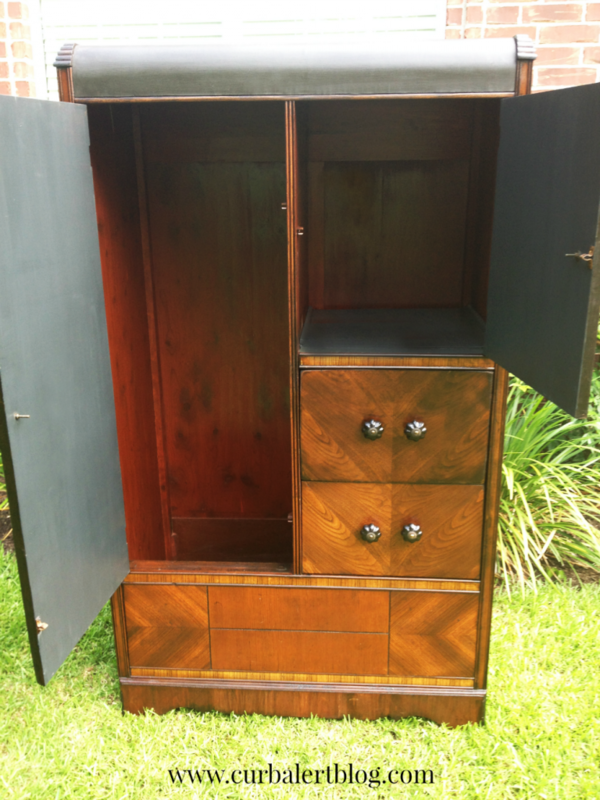 I painted the top, sides and insides with Annie Sloan Graphite and heavy Dark Wax. Here is a closer look at the color. The further away you stand, the darker it looks. I stained entire inside with Minwax Sedona Red and Poly to seal it up! 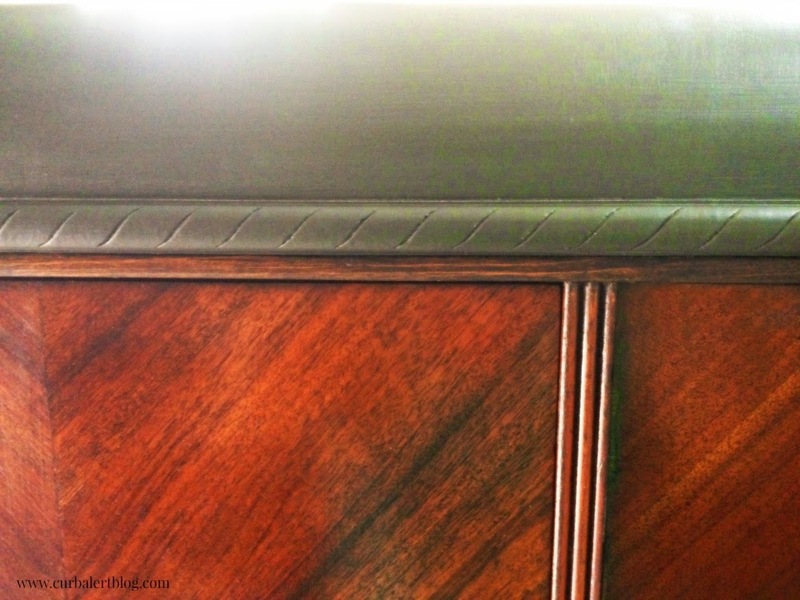 The saved woodgrain veneer was renewed with Minwax Dark Walnut and Poly. It really brought out the richness of this piece! After I was reviewing his Glamour Shots I thought something was missing so I decided to add a little trim today. But no Glamour Shots today because it’s raining so these garage pics will have to suffice. The curves reminded me of a waterfall! It was a tough job but now in hindsight I am super pleased with it! I am going to try to sell it in my Renewal Shop so wish me luck! Maybe I could use a Basket full of Sunshine with all of this rain! Previous ArticleGet Well Soon Gift: Basket full of Sunshine! Ooooh you should be so proud of your hard work and commitment to this beautiful old piece. Im sure its past owners would be thrilled it has been saved. You have done a wonderful job in renewing ots life amd I am certain that someone will fall in love and be giving it a new home when it goes into your shop. I think you have done a fantastic job. I have one just like it, but in much better shape than the one you brought home. Now I am going to try to make mine look as beautiful as you have made this piece. I am sure you will find someone who will be willing to buy and treasure you work. Wow!! You did an amazing job on this. It looks gorgeous. It is truly amazing..my jaw dropped! You certainly worked wonders with this piece. It is truly gorgeous. I so would have lost patience long before you did and now you have this wonderful piece. You really brought out the beauty of the wood and workmanship of it. Beautiful transformation! I hope it inspires others to not bypass a lonely dresser for something mass produced out of pressed wood. and then seeing the awesome outcome…you go girl!!!! So impressed! Talk about turning an ugly duckling into a swan! You did an absolutely amazing job on this piece! From sad to Gorgeous! It's like you renewed the confidence of this old gem! 😀 I really enjoy your blog! I hope you get a handsome reward for this piece! You are the best, Tami! Beautiful transformation! 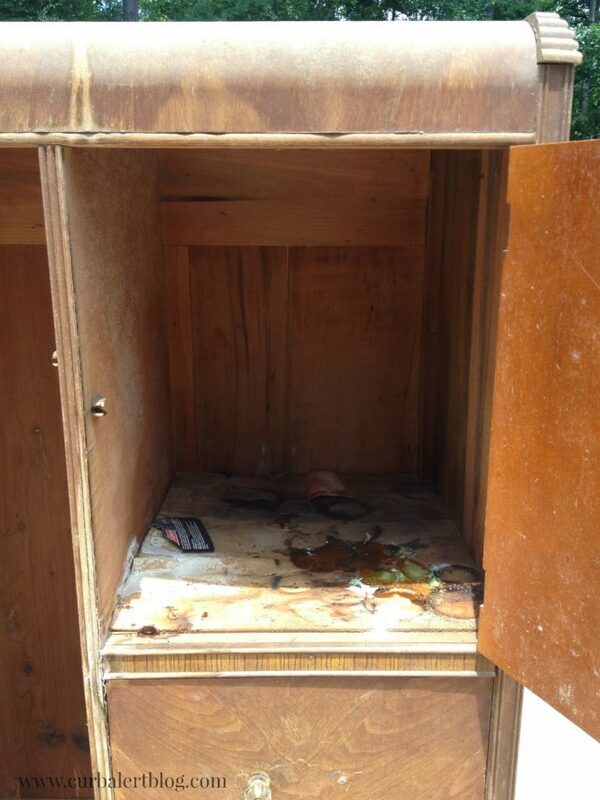 Thanks for saving a beautiful piece of furniture. Oh, Tami ! What a great makeover! If the previous owner saw it now I'm sure they'd want it back. I'm so glad you rescued this sweet piece. I want to grab every piece I can when I see it, but I haven't yet taken the step of transforming the orphans and my rooms are full. But you give me a lot of inspiration, especially on this one with the veneer. 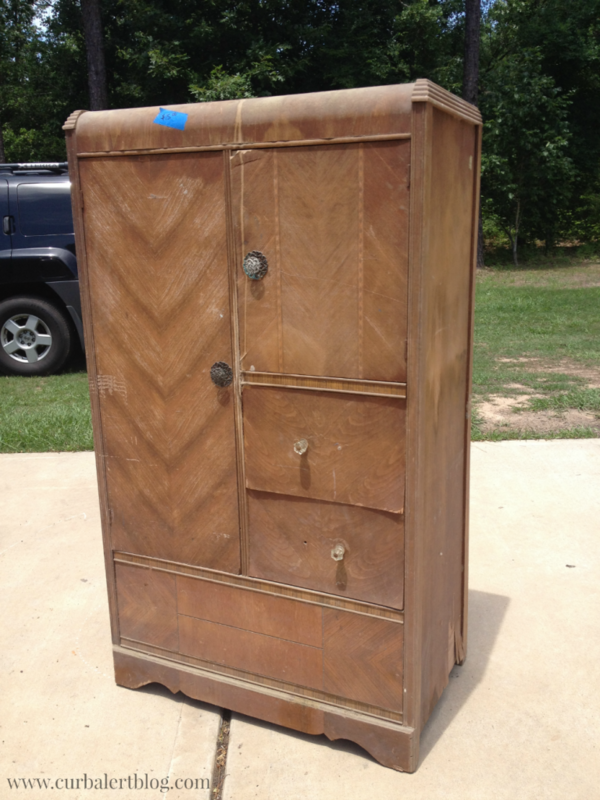 I have two pieces that belonged to my mom and dad, and want to keep them because my folks are no longer with me. But they have been in storage and the veneer is peeling off. I was so close to getting rid of them, but because of the bloggers I subscribe to, who turn pig's ears into silk purses, I am determined to do the same. 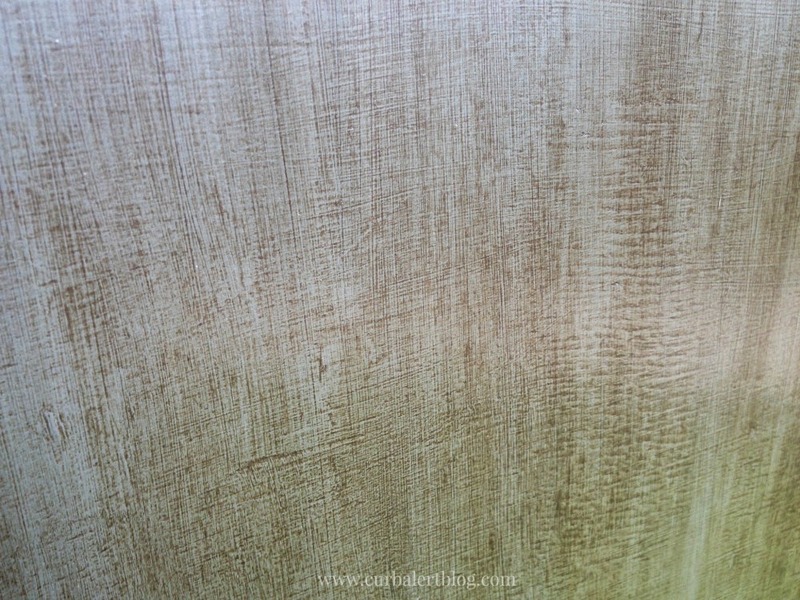 Unfortunately, I won't be able to save the veneer on the outside as you did, but a new paint job will save the day! I love all you do and I'm glad to see new projects as you share them with us. Keep up the fantastic makeovers! Wow. That is a wonderful makeover. 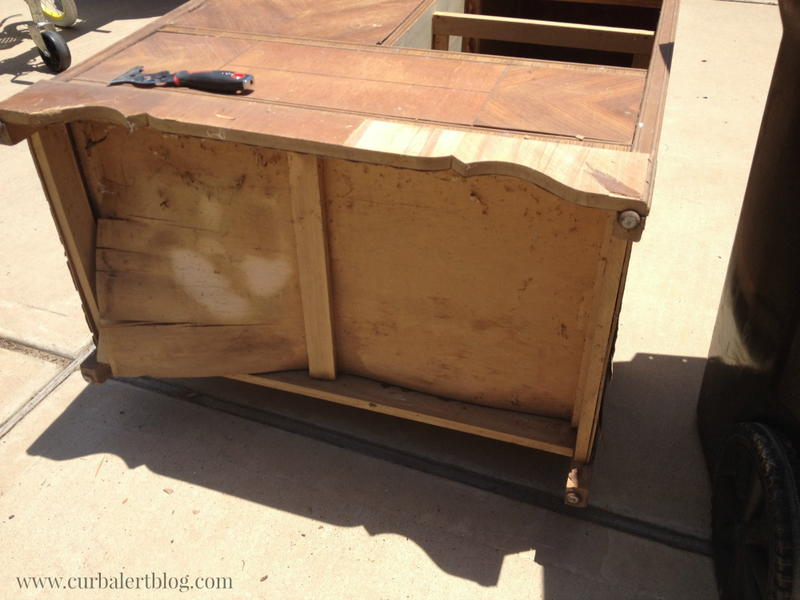 I would have taken the easy way out with chalk paint. Thank goodness you didn't. That would grain is beautiful and the paint color you chose is so complimentary. I admire your stick-to-itiveness. HOLY HELL!! that looks AMAZING!! It seriously looks like you bought it like that brand new and I love that your family was probably in awe after they saw the final product! Woo Hoo it's a masterpiece! This is absolutely beautiful! Your HARD work paid off. I don't think I would have had the patience to do what you did! Congratulations on a joy well done! Absolutely stunning makeover! You gave this old piece new life. It looks beautiful. 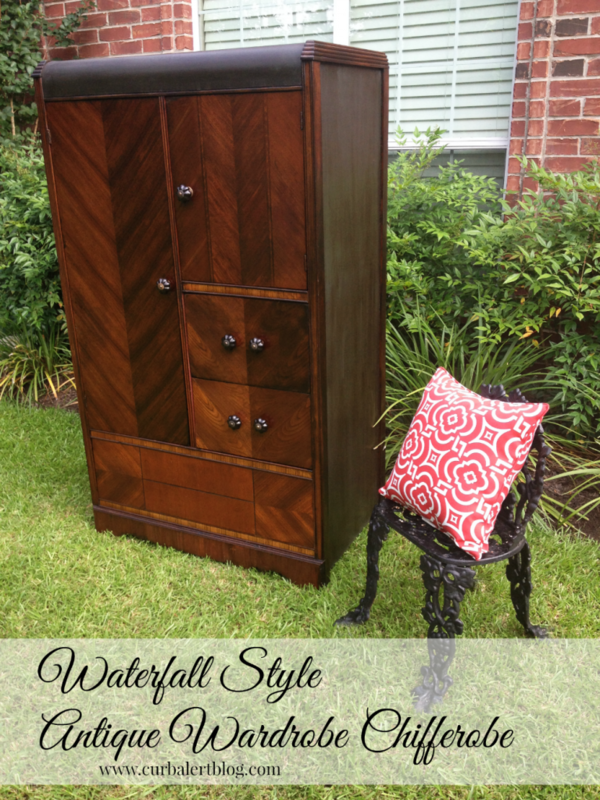 Girl, you are the furniture whisperer! This is freaking amazing! Sharing and pinning! I absolutely Love this! So glad that you preserved as much of the wood as you could. It's beautiful! Stopping in to pin, love it! 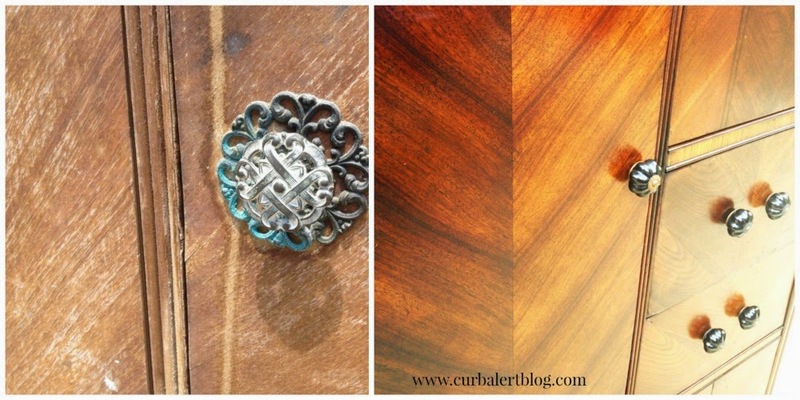 I have an antique buffet that has a very similar veneer pattern. It was my great grandmother's and it has been very well taken care of. When I got it, it had been stained over so many times it was literally black with stain, but I knew that something beautiful was hiding underneath. So I sent it to a good friend who stripped it down, cleaned it up and put on one new coat of stain. I was shocked at the difference. 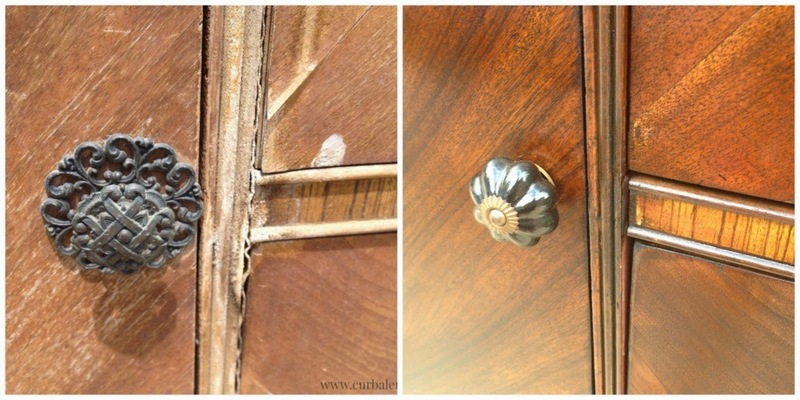 Yours has the same affect … I love to see old antique pieces that have a wonderful story to tell come back to life. Thank you for sharing! You did an amazing job! I love wardrobes, especially with the rounded top, and the new knobs as well! Great job, Tami! Amazing, Awesome, Gorgeous–I love it. You did an incredible job. Someone will snap that up in a minute! amazing seems to be the word of the day for this piece. Great job! I love how the piece came back to life. ohhh the stories I'm sure it could tell. 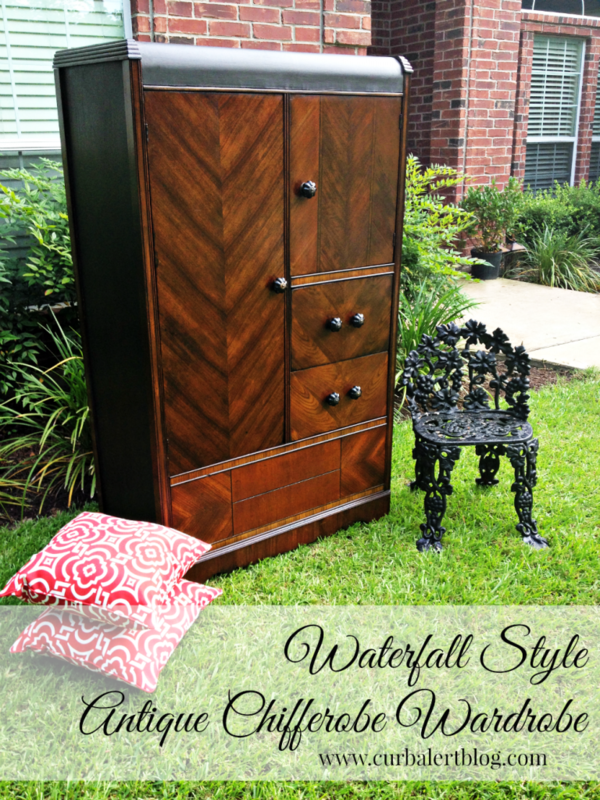 I have a waterfall chest of drawers that I'm torn about. I have removed the horrible veneer from the top, and considered trying to replace it. Then I thought about slapping some diy chalk paint on it and calling it done. We'll see. I did save it from a violent death, it was about to get beat up, dismantled and thrown in the dumpster when I rescued it. My hats off to you! You did an AMAZING job! I would of walked right by this one! I am so impressed that you took this one on! Great job bringing this piece back to usefulness. 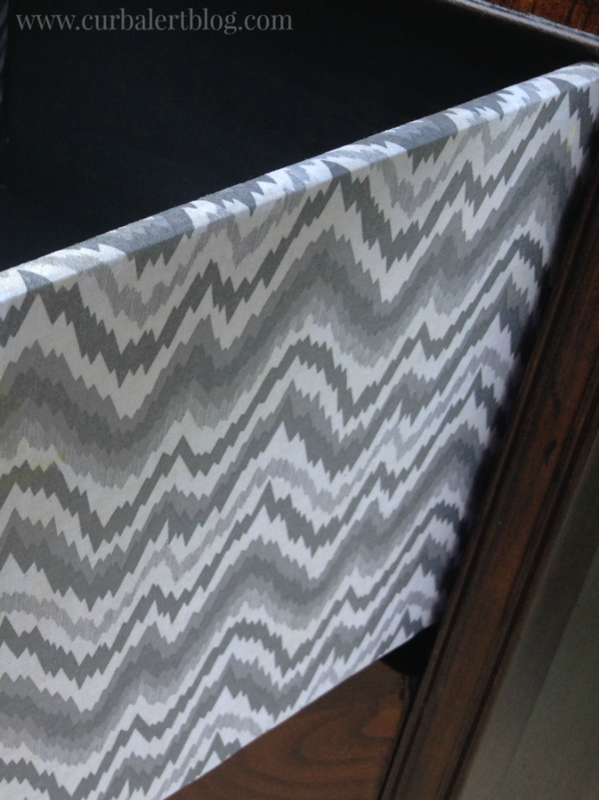 I would love it if you could either show how to put fabric on the peek-a-boo drawers or tell me where to find a tutorial…a lot of Pinterest and your posts give picture ideas but covering the sides (inside and out) is a challenge… Any ideas? 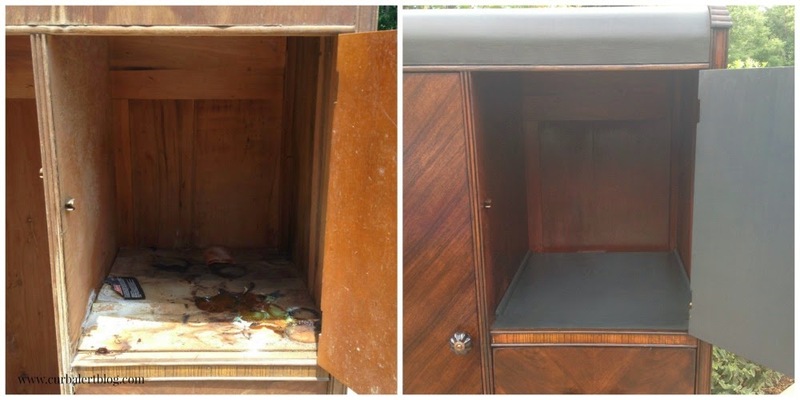 Oh my goodness, what an amazing transformation…such a gorgeous piece of furniture! Great job. I have a couple of these and one thing you can do is knock the board that goes across the bottom out and add a piano hinge and a pull or knob to it with a magnetic catch if it needs it. It allows for more storage without ruining the whole look. absolutely beautiful! so nice to see someone giving an antique the love it deserves instead of painting it teal or something. just gorgeous. You should treat yourself to a nice massage or something. NICE job – it is just beautiful! 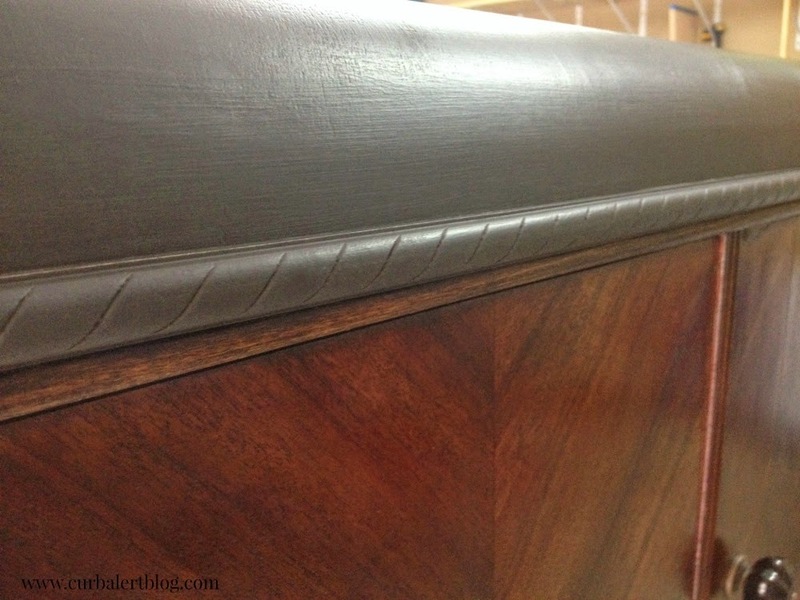 I have an antique dresser that is really beautiful, but very worn and has some veneer that is lifting and I have always had intentions of finding a way to glue the veneer back down. None of it is missing just lifted. 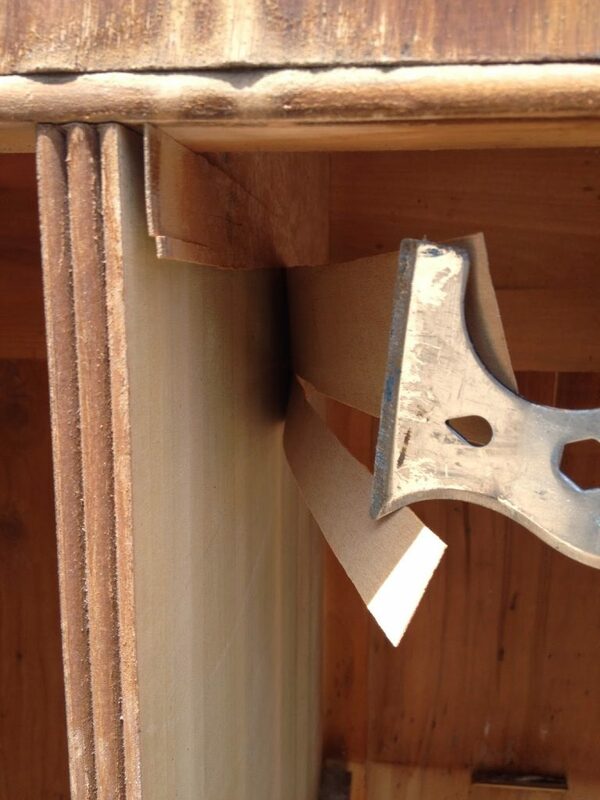 Have wondered if using water to soften the veneer so that it could be glued and flattened might not be the best way, but have been afraid that it would only make it worse. 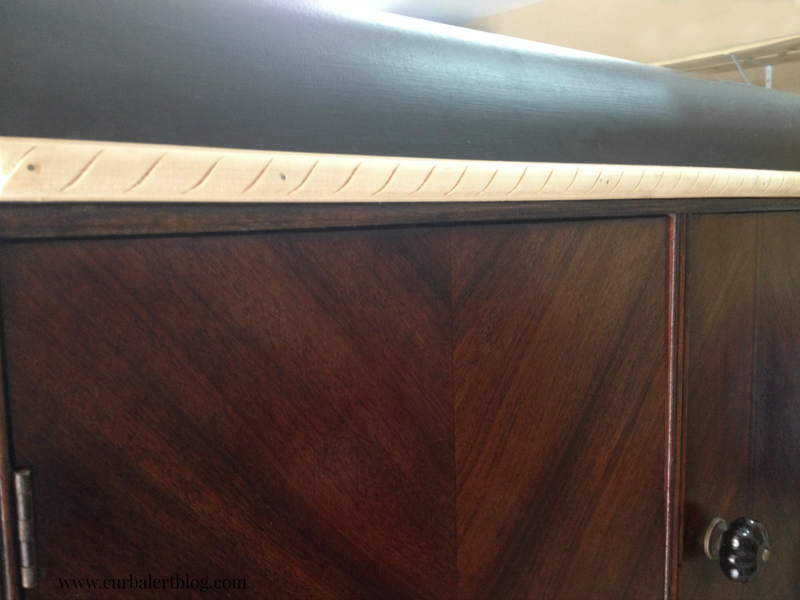 How did you manage to glue down lifted veneer? Any suggestions would be very much appreciated.